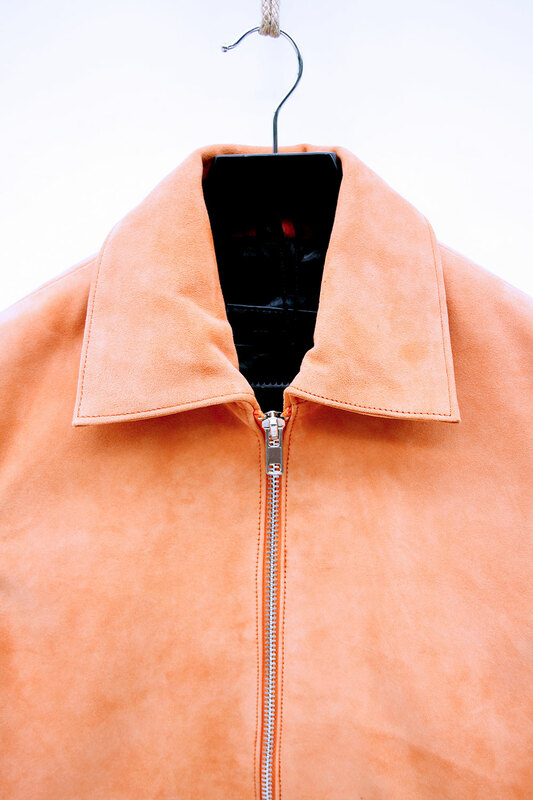 mki thick suede flight jacket. 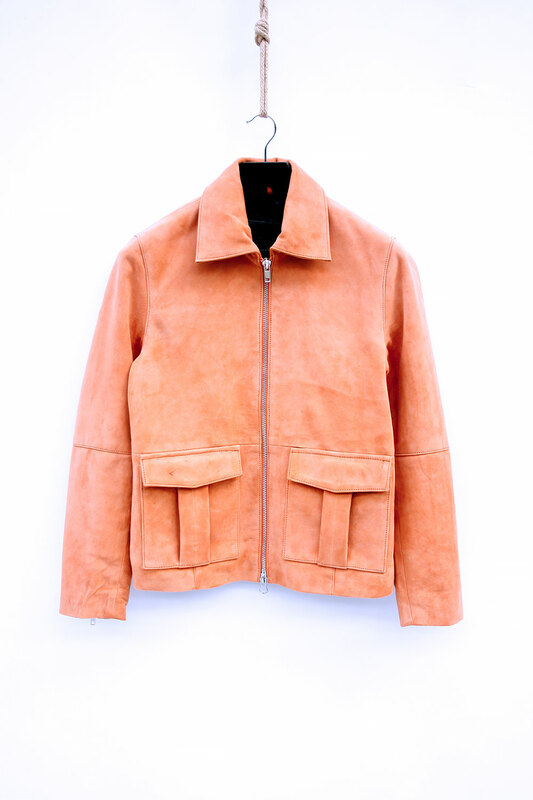 100% cow suede. 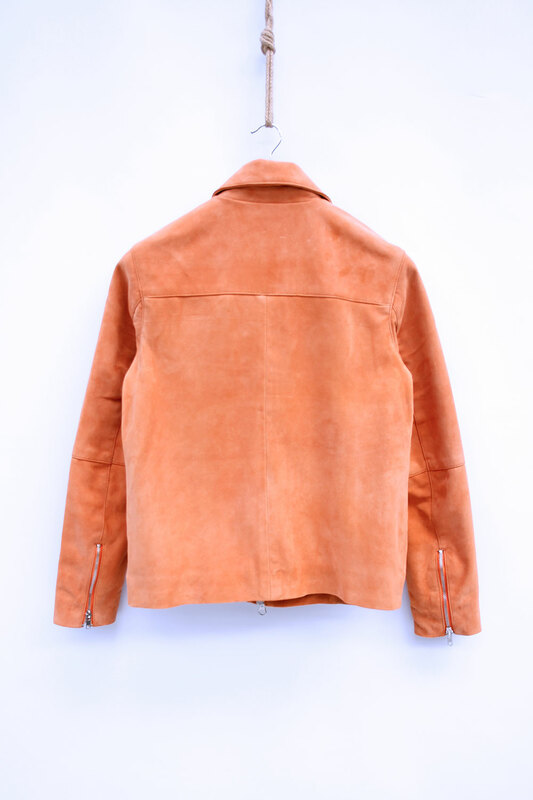 satin lining. 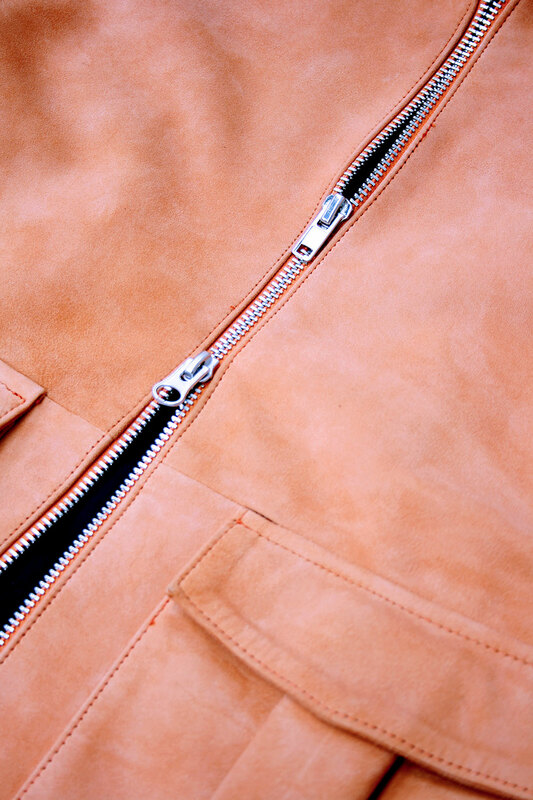 2 way front zip closure. twin waist patch pockets. pointed collar. 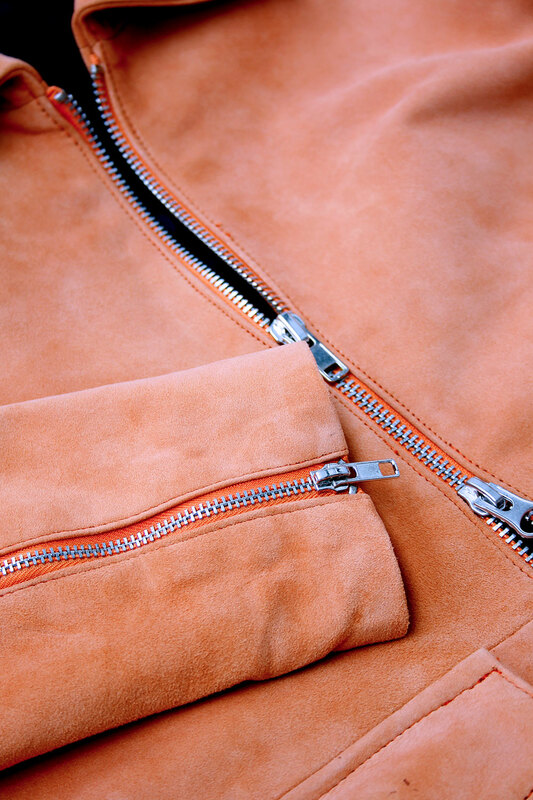 zip adjustable cuffs. chrome hardware throughout.